Start your search for a serviced office to rent in St Helens with MOVEHUT today, and you'll find all the tools you need to make your search as simple as possible. You can refine your search by location, radius or postcode to ensure you only view the properties that are relevant to your search. So kick off your search for a serviced office for rent in St Helens with MOVEHUT, and you'll be amazed how quickly you find the right results. You'll get the best results for your serviced office to rent in St Helens search if you consider a few factors beforehand. You should be certain that the property is large enough to accommodate your business, and at the same time you can avoid having to move again in the near future if you allow for the growth in St Helens. So when you're searching MOVEHUT for a serviced office to rent in St Helens, bearing these tips in mind will help you achieve the right results. 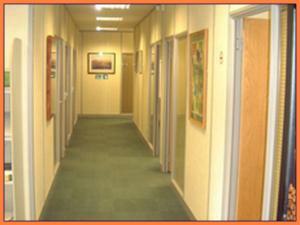 Serviced offices in St Helens should always be viewed before deciding whether to rent. It is important that the serviced office is in a good condition both outside and inside, as repair costs can be expensive. Making sure the heating in the serviced office works properly is essential, whether it is gas central or air conditioning, as repairing or replacing parts can be costly. So once you've found a serviced office to rent in St Helens with MOVEHUT, arrange a viewing and bear these tips in mind. 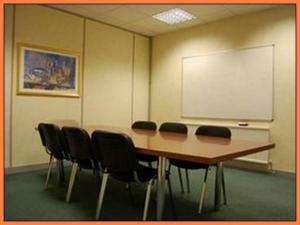 Are you wondering if serviced offices to rent in St Helens are suitable for you? 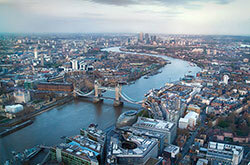 Is renting a serviced office right for me and my company, is one of the questions people frequently ask. If the high flexibility a short-term lease can offer is what you're looking for then serviced offices in St Helens would be your perfect choice. 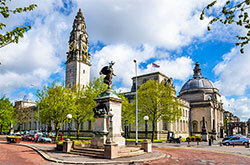 Its ability to be able to manage the technical infrastructure in St Helens like telephones and IT, may also be another reason to choose a serviced office. When it comes to finding a new office for your company in St Helens, should you be choosing a serviced office or not? You might want to choose serviced offices in St Helens because your company will benefit from a staffed reception area, for example. One of the reasons why serviced offices in St Helens should be considered is because they often provide meeting and conference facilities. So take a look at the serviced offices to let in St Helens at MOVEHUT right now and your business could soon be enjoying these bonuses. After you find your ideal serviced office to rent in St Helens, chances are you will want to put an offer on the commercial property. When you are sure the serviced office is right for you, the submission of an offer can be made through yourself, broker or agent. We love nothing more than when our visitors make a successful serviced office transaction, so search our database and find your ideal property to rent today. Serviced offices in St Helens can sometimes be expensive to rent, but at MOVEHUT we offer the widest range of properties to suit all budgets. 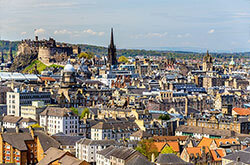 Here at MOVEHUT, we list serviced offices to rent up to £250,000 per annum. So browse our serviced office listings in St Helens, and find that property to rent that matches your budget.